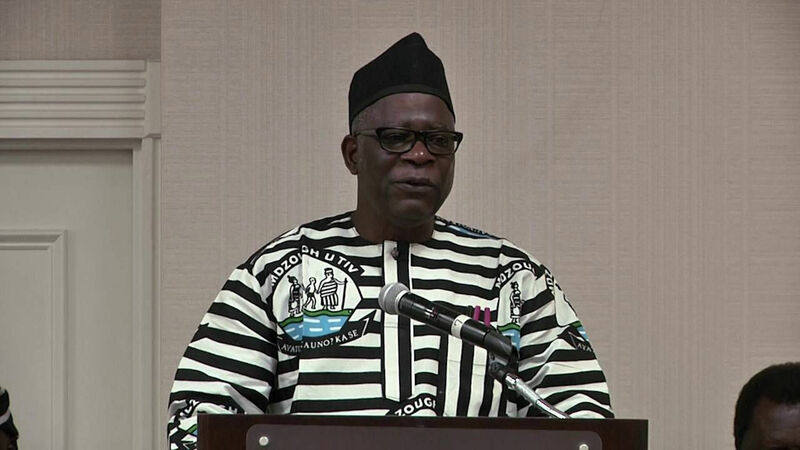 Leaders of the three major ethnic groups in Benue State, including the Mdzough U Tiv, the ldoma National Forum and Omi Ny’lgede have aligned themselves with the position of former Chief of Army Staff, Lt Gen. TY Danjuma’s recent call for self-defence. They maintained that the elder statesman hardly spoke but for such critical issues that effected the corporate existence of the country. According to them, “Gen. Danjuma’s statement captured what is happenings in Benue State. “From the year 2010 to 2016, Benue State experienced excessive bloodshed from Fulani herdsmen attacks. Over 2,000 people were murdered and properties worth N95billion were destroyed in 2014 alone. “Instead of the Federal Government and the herdsmen militia accepting and implementing the law, the herdsmen went on rampage killing 73 people on the 1st and 2nd days of January, 2018. “Before the senseless murder of these innocent Benue citizens the Army and security agents were fully informed and they took no action to prevent the act. “Benue State Government and her people called on the Federal Government, the Army and other security agencies for protection. The Army decided to institute Exercise Ayem A’ Kpatuma (EX-Cat Race). “But what is the result of this military Exercise? Instead of the restoration of peace and security their presence here in Benue State there are more attacks on the people of the State. “The number of persons displaced as a result of the crisis has increased to over 175,000 while all schools in four or five local governments areas have also been closed down. “Regrettably, the military have not stopped further attacks by the herdsmen through the so called Exercise Ayem A’ Kpatuma. As a result, over 80 people have been killed from January till date including the 26 people who were brutally murdered in Omusu Edumoga, Okpokwu local government area of the State. “As the crisis raged, the Inspector General of Police publicly directed the seizure of arms from vigilante groups but failed to disarm the herdsmen militia who go about in the open. “Though with the full knowledge of what is happening in the state the IGP declared the senseless killings in Benue State as communal clash while no tribe in the state is fighting another. “The Minister of Defence and the IGP also attributed the wanton murder of Benue people to the law prohibiting open grazing in the state. “But it is also a well known fact that in states where the law for the establishment of ranches does not exit herdsmen and their militias are visiting mayhem and genocide on innocent communities. “As we speak, the security agencies have not stopped free passage to AK47 carrying herdsmen to freely attack and occupy part of Makurdi outskirts, beside Wadata area. “All these go to confirm the noble speech made by Gen. Danjuma. “As we speak also, Benue like Taraba, Pleteau and other minority states are under siege of marauders herdsmen with no visible efforts by the Federal Government, the Army or other security agencies to halt the invasion or senseless killings. “The Tiv people who are citizens of Nasarawa state and who their ancestral homes belong to the state, are attacked, invaded and displaced just because they speak the same language with the Benue people.